Not long after the Internet became popular, a group of state attorneys general and charity officials known as NAAG/NASCO (National Association of Attorneys General and National Association of State Charity Officials) met in Charleston, South Carolina, to discuss how the Internet was changing the fundraising landscape for charities and professional fundraisers. The year was 1999, and the consensus was that this issue needed to be addressed to provide guidance to charities and fundraisers, and more importantly, to state regulators and legislatures. The goal was for the deliberations in Charleston to result in charitable solicitation registration guidelines when using the Internet for charitable solicitations and fundraising. These guidelines are known as the “Charleston Principles.” The further intent of these principles was to provide a basis for new or amended laws and regulations to address lingering questions surrounding Internet fundraising and the need for charitable solicitation registration in the cyber age. 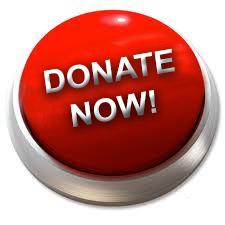 Does a charity’s “Donate Now” button mean that it must register to solicit charitable donations in every state? Do e-mail marketing campaigns require state charitable registration when the physical addresses associated with the e-mail addresses is unknown? How does social media, viral and mobile fundraising impact the need to register? If a charity is receiving online donations from out of state, and it is not actively soliciting in those states, does that trigger a need for state charitable solicitation registration? If a charity uses an uncompensated, nonprofit fundraising service that acts as a channel to direct public donations to charities, which of these organizations is required to register with the state charities offices? These and many more questions immediately energized an otherwise mundane meeting, but unfortunately, answers were few, tentative and not very clear. To be fair, state officials were being asked to apply statutes, mostly written in the 1980s, to the new realities of fundraising in the Internet era. Some likened it to the proverbial square-peg in the round-hole dilemma. The statutes simply weren’t written to address many of the finer points associated with internet fundraising. The inability of laws and regulations to keep pace with the changing dynamics that technology brings is the reason that questions are plentiful, and useful answers are sparse. Attendees of the NAAG/NASCO meeting last week found some consolation in realizing that state officials are equally confounded by some of the implications that 21st–century fundraising models have on the registration requirements of charities and fundraisers. They must answer questions within the confines of existing, outdated charitable solicitation statutes. The Charleston Principles were considered by many to be a good first step in the process of addressing the proliferation of web-related solicitations and the issue of who has to register where; however, follow-up actions by most states in the past decade have been less than ideal. With few exceptions, there are no official state guidelines, statutes, or regulations that assist charities and fundraisers with their perplexing questions. Where should charities and fundraisers turn for guidance and answers? As imperfect as they are, a careful review and interpretation of existing state charitable solicitation acts is the most viable option. When reviewing these statutes, the focus should be on the fundamentals, such as how terms are defined, whether an actual solicitation occurred, and whether someone is being compensated to fundraise. Until laws are changed or new ones are enacted, these factors will ultimately drive state regulators’ thinking on how to apply outdated laws and regulations to fundraising in the future. If you would like to learn more about state charitable solicitation registration requirements for nonprofits, Nonprofit Webinars will be sponsoring a FREE webinar, “State Charitable and Corporate Compliance for Nonprofits,” which I will be presenting on Wednesday, October 26th, 2011 from 1:00 to 2:00 PM Eastern Time. Too busy to attend? Visit the archives of Nonprofit Webinars to review the webinar at your leisure. Also, please share the link with colleagues at your firm or with others serving with or on behalf of nonprofits (officers and directors, attorneys, CPAs, consultants, etc). Click here for more details about the webinar and to register!